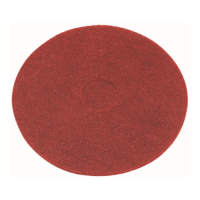 15" (368mm) Green Floor pads are for the removal of dirt, and light st..
15" (368mm) Red Floor pads are for light soiling and general light pol..
15" (368mm) Tan Floor pads are for Light Cleaning and Buffing. 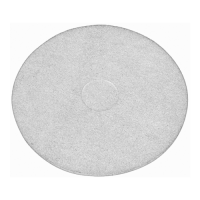 A good ..
15" (368mm) White Floor pads are suitable for polishing. Used for poli..
15" (368mm) Black Floor pads are suitable for the heavy duty removal o..
17" (432mm) Black Floor Pads are suitable for the heavy duty removal o..
17" (432mm) Green Floor pads are for the removal of dirt, and light st..
17" (432mm) Red Floor Pads are suitable for light soiling and general ..
17" (432mm) Tan Floor Pads are suitable for Light Cleaning and Buffing..
17" (432mm) White Floor Pads are suitable for polishing. Used for poli..
A box of 5, white 430mm floor pads suitable for Light Cleaning and Buf..
A box of 5, Black 330mm floor pads suitable for the heavy duty removal..